over to give the impression of an original oil painting. 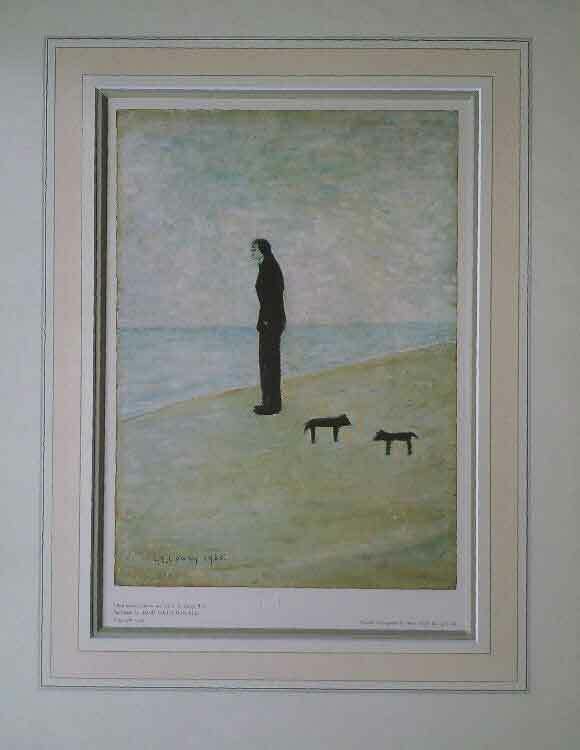 Eg.. "Eggs sixpence a dozen" The signature on the image, is a printed signature (from the original painting).... This is not a signed print..
a poster print, (the pencil signature or publishers stamp will not be hidden behind the mount). The publishers stamp, and/or numbering will usually be on the bottom left just off the image. and/or numbering at the bottom of the print, just off the image. these are just decorative and have no secondary market value. Internationally recognized as one of the world's finest wildlife artists. David Shepherd has at all times felt that he had a duty in the form of conservation towards the world and the animals that inhabit our planet. 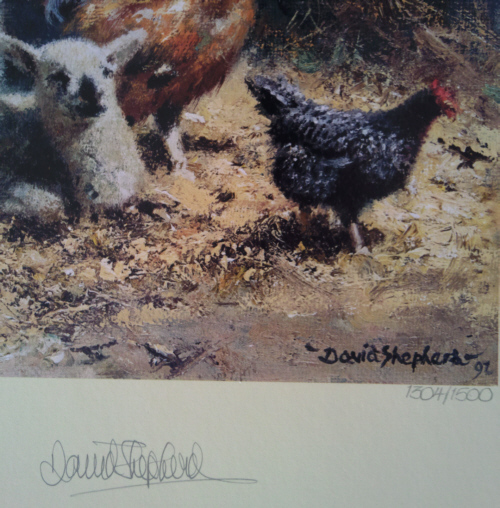 In his lifetime, David Shepherd has painted and drawn many pictures, and is able to share his many tales and experiences with people internationally, often talking at charity dinners and prestigeous social events. His persona lends itself naturally to this cause, as he is a most approachable down-to-earth fellow who enjoys sharing his pleasure of art and his concern over the diminishing wildlife throughout the world. In his early days, he was 'thrown' into the creative world purely by chance, as he wasn't particularly keen about other college activities. A watercolourist, of great renown in the world of art is Sir William Russell Flint; A large collection of his published work can be viewed at this site . and Perigueux is a House to let in France read here offering complete tranquility and relaxation.